Thanks to Steve Hirsch of Hirsch Fruit Farm for this inteview! We are located in Ross County in south central Ohio, about 3 miles southwest of Chillicothe. What year was the farm started? My great, great grandfather, Peter Hirsch, bought the first piece of property here on February 29, 1872. Family tradition has it that my great grandfather, John Hirsch, started growing peaches about 1890 and the orchard expanded from there. What is your role with Hirsch Fruit Farm? I am one of the owner-operators along with my father, cousin and brother. What all do you grow? We have become very diversified over the years and now grow asparagus, strawberries, red raspberries, black raspberries, blueberries, tomatoes, cucumbers, peaches, nectarines, blackberries, plums, pears, apples, red & yellow peppers, grapes and pumpkins and gourds. We start picking asparagus at the beginning of April and are usually picking something every day until the end of October. 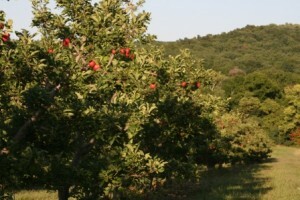 Apples are our largest crop and we grow about 30 varieties of apples. We are picking different varieties of apples from the first of July to the end of October and try to have apples available in our markets 8-10 months in the year. We also produce our own apple cider and have it available year ‘round. 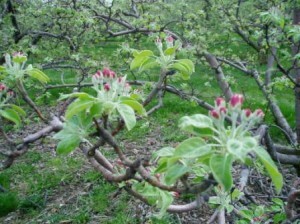 What made you decide to grow apples? We have been growing apples for over a hundred years. We don’t grow the same varieties now as we did in the early 1900s. Though we do grow a few older varieties, McIntosh, Cortland, Grimes Golden and Northern Spy, consumer tastes and uses have changed over the years and we have changed our variety mix to try to satisfy those changing tastes. Can people visit your farm? Our farm has changed over its’ first hundred and twenty years from a mainly wholesale marketer to a mainly retail marketer. We have an on farm market that is open all year, Monday through Saturday 9am to 6pm. 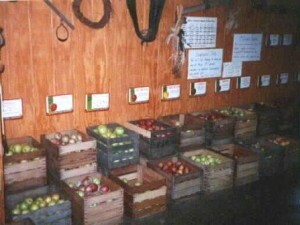 We also have an off-farm market on the north side of Chillicothe that is also open year round. We also participate in four farmers markets in the central Ohio area during the summer. The third full weekend in September, we host an open house here at the farm and give orchard tours as well as having many other activities for families to participate in. Are you a Pick-Your-Own farm? 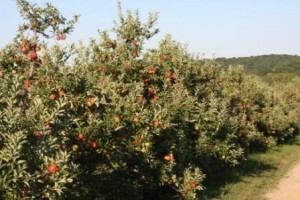 We do offer PYO strawberries in early summer and as part of our open house weekend we offer PYO apples. 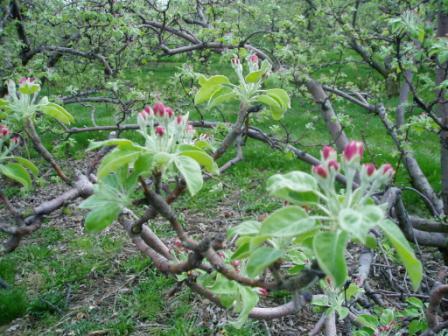 We produce our own fresh, sweet apple cider about 9 months each year. Our apple cider is made with no additives or preservatives and is not highly filtered, preserving all of the flavor and nutrients. As we make during the winter, we freeze part of each batch of cider, so that we can have cider all summer long. Our apple butter is made for us by a friend of ours at another orchard in Ohio. 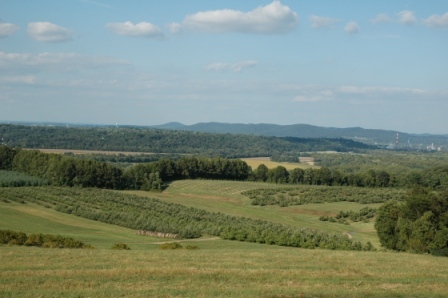 Our preserves and other fruit butters are made for us by Dillman Farms. Our most popular product is probably our apple cider. We have many people that rave about how great it tastes, in fact just last week I got an e-mail from someone who had tried our cider for the first time and said it was the best that he had ever tasted. We also use our cider to make apple cider slush. We have a slush machine in each market and it is a popular treat, especially in the summer. We also do apple cider slush at a couple of fairs and festivals in the area. What is your favorite part of the farm? I enjoy the interaction with our customers. We have the ability to let folks try something before they buy it and helping them find the right apple, peach or other fruit that satisfies their need is fun. What is your favorite season on the farm? Early fall is my favorite season here at the farm. We have such a diverse offering of fruits in the fall as we are picking apples, peaches, pears, plums, red raspberries, blackberries and grapes. We also are picking pumpkins and peppers and the markets are brimming with a colorful bounty. What is your favorite product that Hirsch Fruit Farm produces? My favorite would be black raspberries. There is nothing like the flavor of a fresh, ripe black raspberry.